Deep within the recesses of the mind, there is access to a higher consciousness that brings wisdom to people who have limited knowledge within a certain area of their lives, or of their interests. For intellectuals, philosophers, scientists, educators and laypeople, the information given in this book by Barbara Rose, PhD, founder of Institute of Higher Self Communication merged with Global Life Transformation Institute, will bring you a whole new level of understanding about your own higher consciousness, and how to access it. Written in a down to earth yet more intellectual manner, rather than spiritual, it opens the gateway to the minds ability to tap into wisdom on the other side of your knowledge, which can significantly enhance your life if taken in and applied. Through this book you will learn what you may not have been taught, and this teaching is called Higher Self Communication. 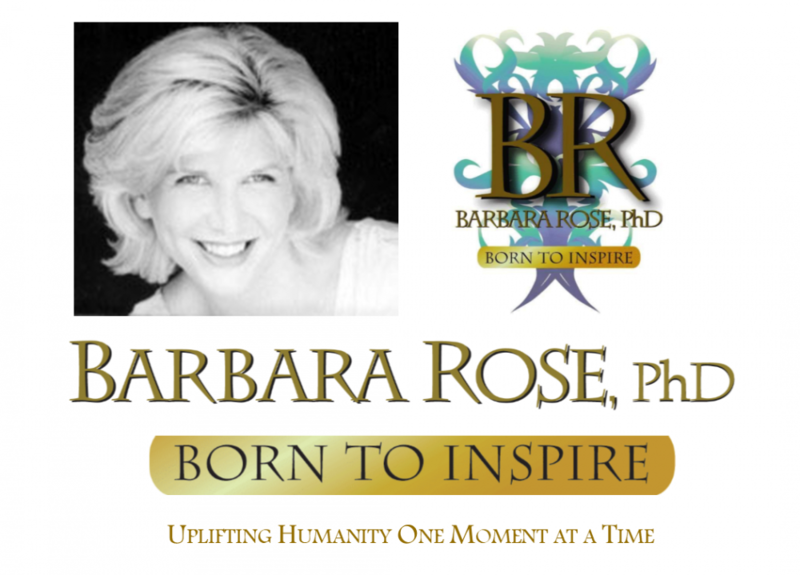 Barbara Sherry Rose, PhD is the bestselling author of twenty three books, a world renowned life transformation specialist, spiritual teacher and expert in Higher Self Communication. Her personal growth and transformation shared with millions of people from every part of the world has endeared her to the masses as a pure, loving and caring soul who shares by living example. Her ability to take the most difficult personal topics and bring through the solutions for herself and all has made her one of today’s most loved and respected spiritual teachers. Dr. Rose is the founder of International Institute of Higher Self Communication. She shares with all of humanity the nondenominational process of receiving answers from God, as you personally understand that name to be. Her subscribers span over 190 countries and the impact of her work spans the world. Her official website is BornToInspire.com. This entry was posted in Barbara's Books and tagged BORNTOINSPIRE, Dr. Barbara Sherry Rose, higher consciousness, Higher Self Communication, Humanity's Evolution, Receiving Higher Answers, Transformation within minutes, Your sixth sense by Barbara Rose, PhD |Born To Inspire | Bestselling Author| Life Transformation Expert. Bookmark the permalink.